Offering unbeatable services for event catering in Brookfield, our hotel can host a wide variety of events, from receptions to training seminars, for groups of 10 to 100. Our friendly, professional staff at the Country Inn & Suites can assist you with any of your meeting needs and looks forward to hosting you. A complete menu that includes your choice of entrees and any specifics relating to your function, as well as your estimated number of guests, should be presented to the sales office two weeks before your event. 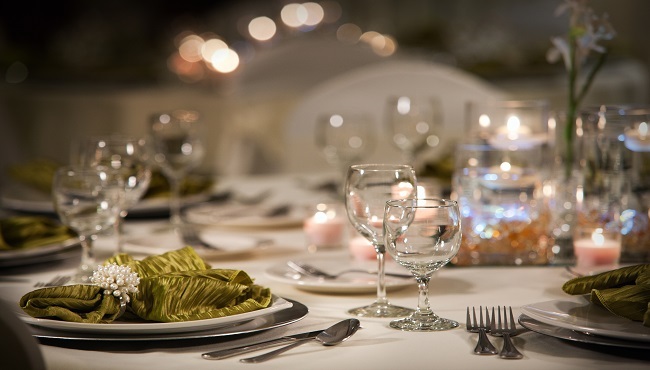 Prepared food should be consumed during your function and is not to be removed from the designated function room. No food or beverages except for cakes may be brought into the hotel from outside sources. The hotel asks that the final number of guests be given to the sales office three working days prior to the function date. If no final guarantee is received, the hotel will consider the estimated number indicated on the contract to be the correct guarantee number. The catering staff will be prepared to provide for up to 2% over the guarantee number. Function rooms are assigned according to the anticipated number of guests. If attendance drops or increases, the hotel reserves the right to change groups, with notification, to rooms more suitable for their attendance number. For any specific needs in regards to room arrangements, table setups, audiovisual equipment, entertainment or decorations, please inform the sales department as soon as possible. This hotel is pleased to offer a complete selection of beverages to complement your function. Please note that alcoholic beverage sales are regulated by the State of Wisconsin. Therefore, it is a policy that no liquor, beer or wine be brought into the hotel's banquet facilities from outside sources. If the liquor sales do not reach $250 in the first two hours, there will be a $35 charge per bartender. A host or cash bar has a two-hour minimum. For less than two hours, there will be a $100 setup fee.